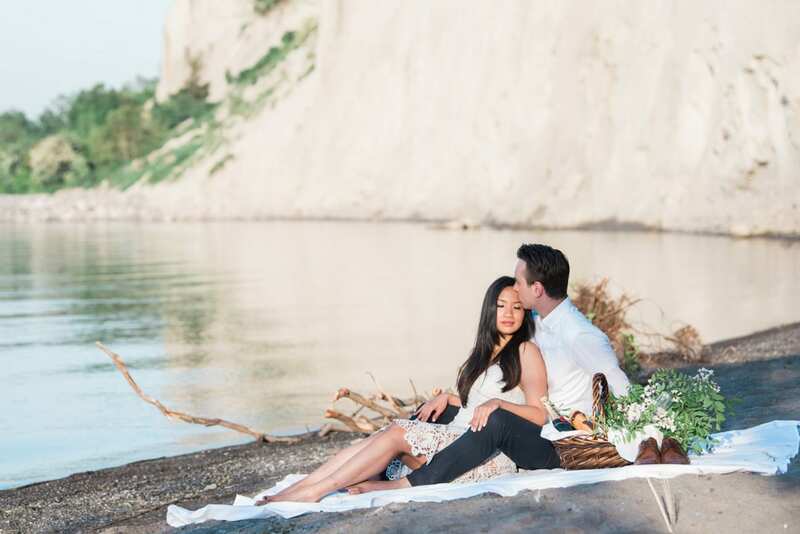 Michelle and Simon found one of the best places for celebrating their recent engagement when they had The Right Moments Photography capture a rising sun before the picturesque Scarborough Bluffs in Ontario, Canada. 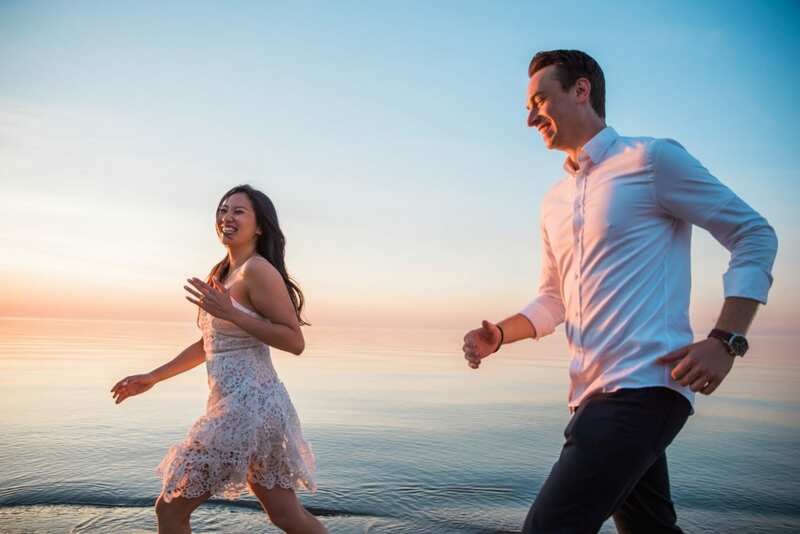 Michelle and Simon specifically wanted to take photos just as the sun was rising to commemorate a new beginning in their relationship. 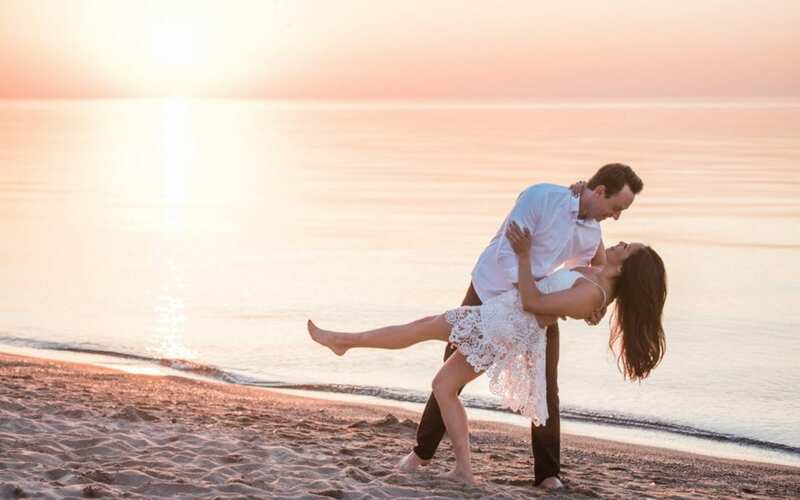 The photos were first taken along the shoreline of the beach, the capture the beauty of the early morning and the ease of the natural setting unpopulated. Simon wore a white dress shirt and black dress slacks, while Michelle chose a simple sweetheart ivory cocktail dress with a lace overlay. They both went barefooted, smiling at each other in the early morning’s light. In the earliest shots, you can only see their shadows silhouettes, eclipsed in sunburnt orange and shadows, the epitome of romance. Later, it is the ease and love as they look at one another that captures a similar beauty. 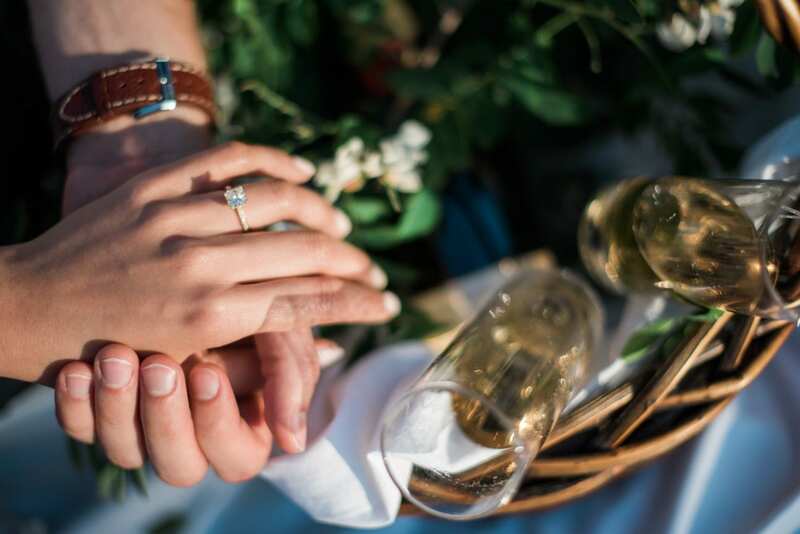 The theme of the engagement shoot was a picnic at the date, and that became even more clear when the couple posed in the wooddy trails surrounding the bluff. 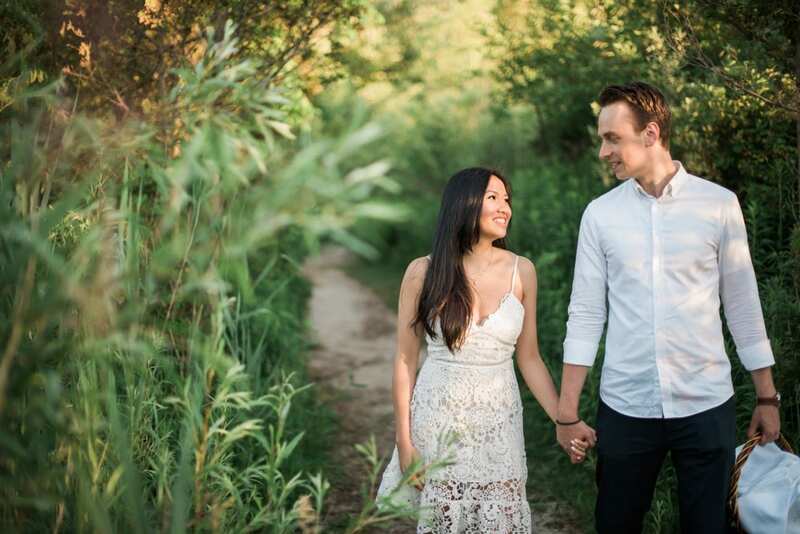 The stunning scenery and breathtaking beauty matched how at ease Michelle and Simon seem with each other. 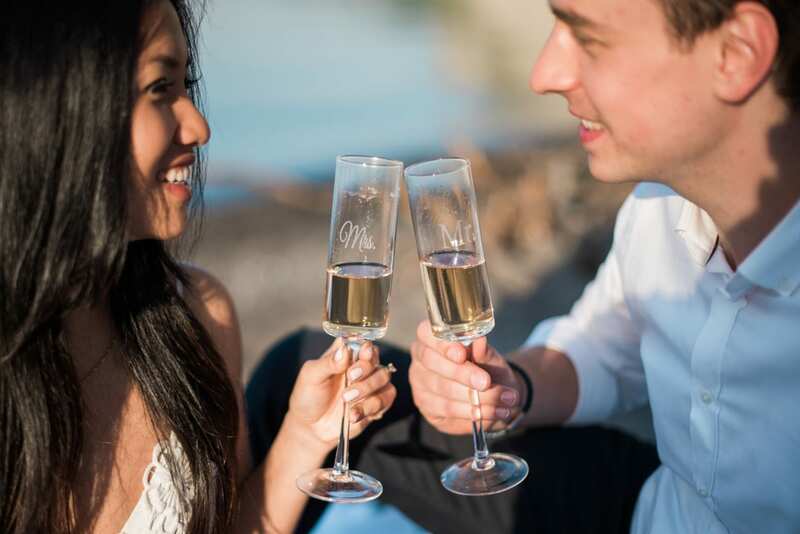 Additional photos with the couple holding hands while wading and picnicking along the shoreline made for the perfect endnote to the beginning of Michelle and Simon’s lives together.